Sweetalicious is where you can go. 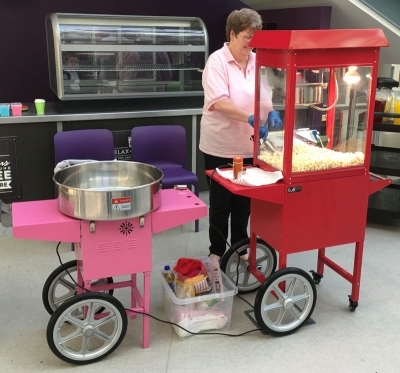 Indulge yourselves in our candy cart, candyfloss machine and popcorn maker! We also can deliver other types of goodies including candy cones and candy boxes for those special occasions including Birthdays, Easter and Christmas.